Congratulate your graduate with an everlasting roses featuring petals handmade from soccer ball material. They have worked so hard on the field and in the classroom to make it to this point. 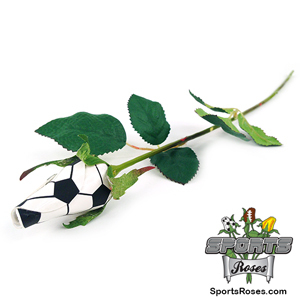 Honor their achievements with a Soccer Roses™ featuring petals created by hand using actual soccer ball material. 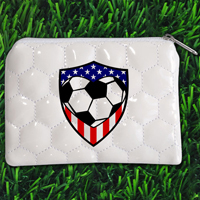 The everlasting bloom of the Soccer Rose™ that will amaze your soccer graduate. The Class of 2019 Soccer Rose™ includes a "Class of 2019" message imprinted on a rose petal. 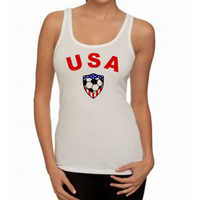 The Soccer Rose™ offers a memorable way to honor this special occasion. 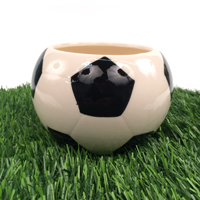 We carefully create each Soccer Rose™ by hand using the same material used to make soccer balls. The end result is an unforgettable bloom that lasts a lifetime. 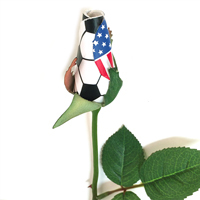 The Soccer Rose™ requires no watering and will never wilt or die. The artificial stem measures 24" in length and has a "life-like" quality that is hard to distinguish from live stems when arranged in a mixed bouquet with live roses. Soccer Roses™ look their best when displayed in a vase arrangement at home, dorm room, or office. 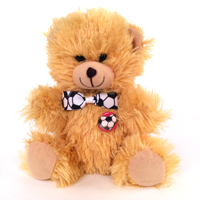 Class of 2019 Soccer Roses™ include the message "Class of 2019" imprinted on 1 petal. Petal imprinted with the text "CLASS OF 2019" in black athletic style font. From Cathreen Corwon of Medina, Ohio on 8/21/2017 . Your products are unique and show the attention to details! 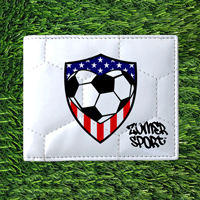 I can't wait to give the soccer . . .